This action is part of the the 'Switch on Europe' campaign. "Switch On Europe' (www.switchoneurope.org)is designed to raise awareness of the importance of entrepreneurship education for young people. 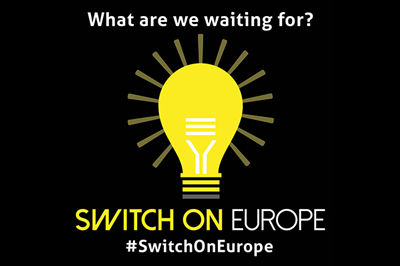 Join us on 4 May at the European Parliament and help us #SwitchOnEurope! Save the Date: click HERE to save this event in your calendar!